Promotions for you and your loved one this V-day! Celebrate romantic Valentine of rooftop private dining 4 course set menu. Welcome love aperitif and live Jazz duo entertainment. Valentine's Day at Sizzle, A romantic set up for a memorable evening. 5-course menu at Sizzle Restaurant, featuring Andaman Octopus, Secreto Iberico and King Fish with flavours of Thailand. 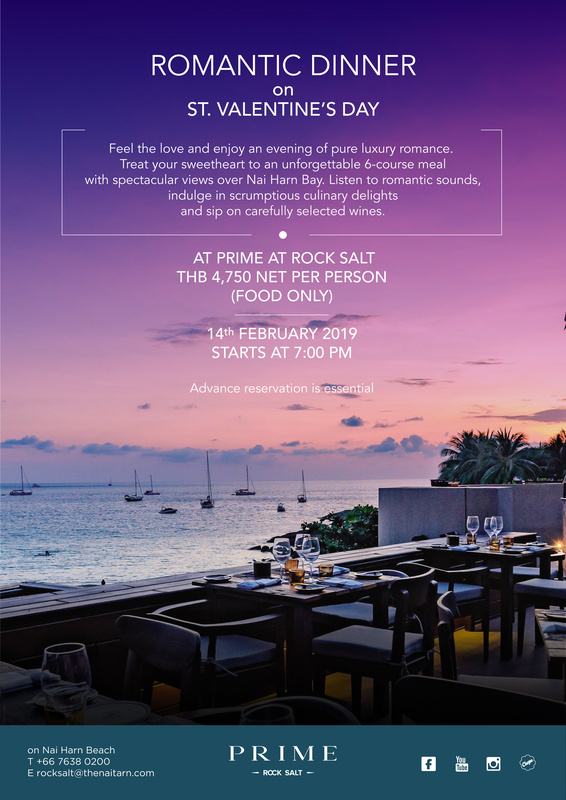 Enjoy a romantic night dinner at Pad Thai Restaurant with the Special Set Menu setting for dazzling night of love. When: 14th February from 7pm onward. Enjoy a whole lobster prepared just the way you like it. Complement your meal with Champagne under the moonlight and enjoy a delightfully romantic evening for you and your loved one. 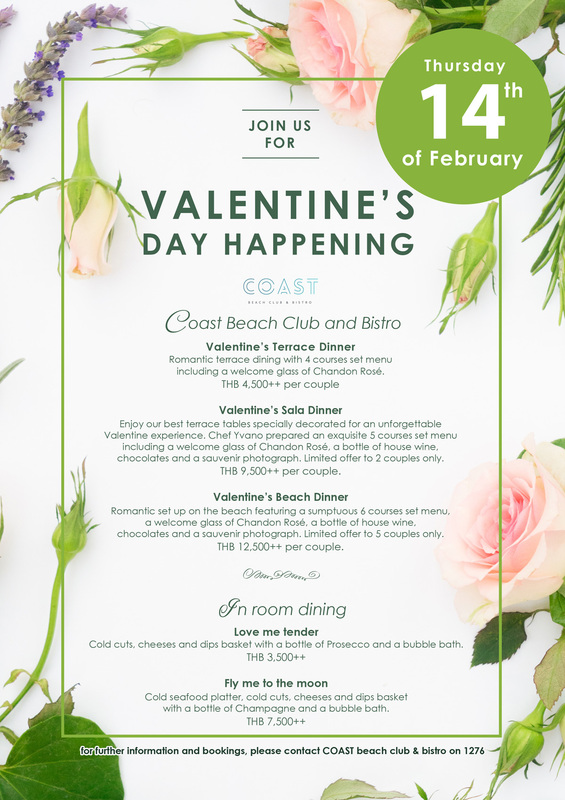 includes welcome drinks, a whole lobster, two side dishes, a bottle of Billecart-Salmon Brut Rose and a rose of every lady. Begin your romantic journey with a romantic spa treatment for two, Craft your perfect evening and enjoy a sumptuous four-course dinner on the beach with sunset cocktails and bottle of champagne. Let celebrate a romantic day of Valentine's with Blue Elephant with Special Set Menu setting for the whole day. include with a glass of champagne as welcome drink. 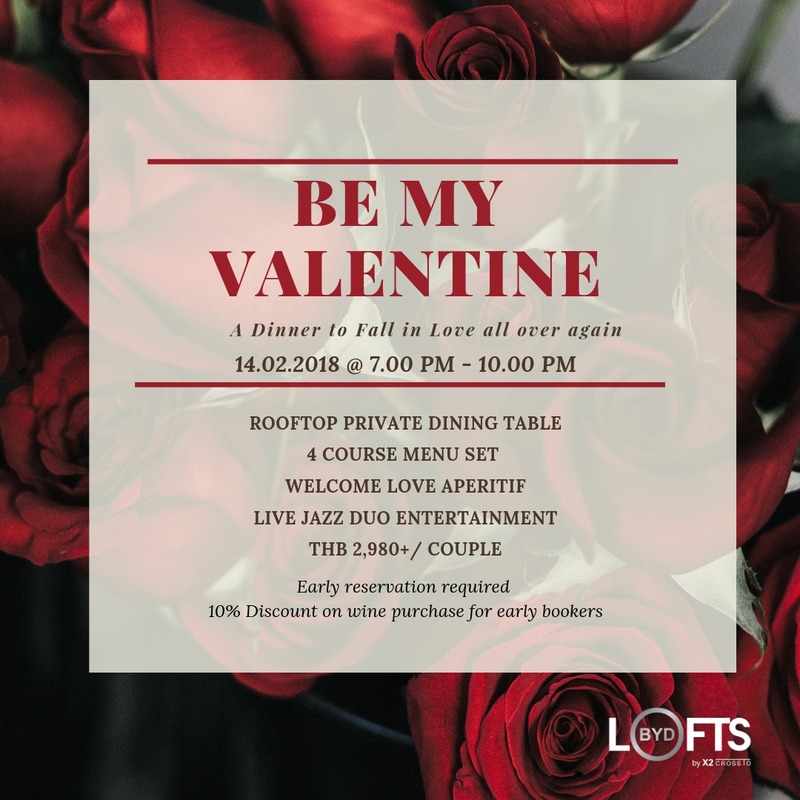 Treat your sweetheart to a Valentine’s Day Dinner with a bottle of wine & a special gift from us Sala Bua Restaurant, one of the most beautiful sunset in Patong. a Journey through nature inspired cuisine in Mediterranean atmosphere in Cherngtalay. Enjoy a special festive 3 courses set menu for a couple while listening to relaxing piano from a famous pianist in a romantic atmosphere at 23 Restaurant and Club!. Complementary a glass of Champagne one for each. Enjoy classic and modern European cuisine to celebrate the romantic Valentine's night with special set dinner of Bampot Kitchen & Bar. 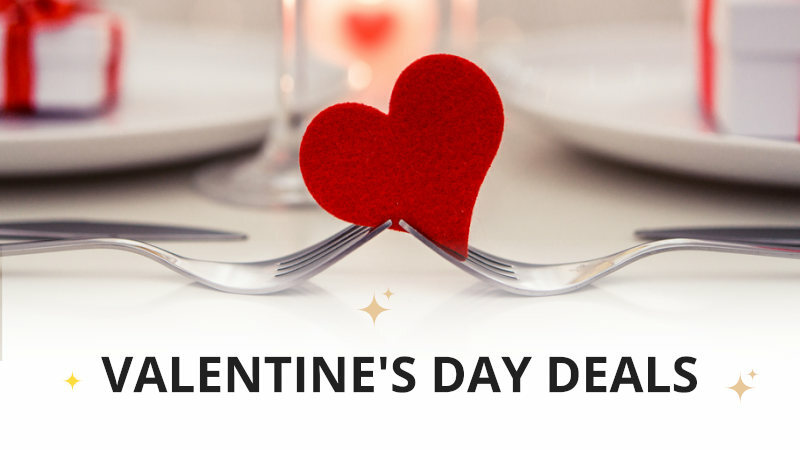 Let celebrate the hopeless romantic in all of us and taste the love of our truly Valentine's day Dinner. Romantic Terrace dining with 4 courses menu including a welcome glass of Chandon Rose. Enjoy our best terrace table specially decorated for an unforgettable Valentin's experience of 5 courses menu including Chandon Rose, a bottle of house wine, Chocolates and a souvenir photograph. 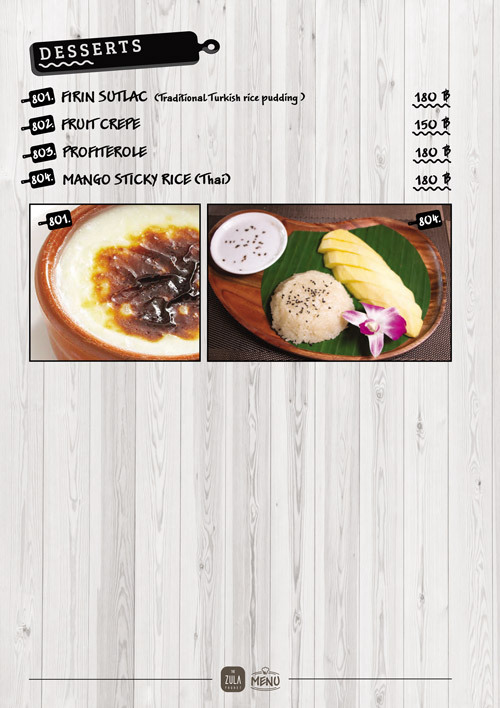 Limited offer 2 couple only. Romantic set up on the beach featuring a sumptuous 6 courses set menu. A welcome glass of Chandon Rose, a bottle of house wine, chocolate and a souvenir photograph. limited for only 5 couples. Cold Cuts, Cheeses and dip basket with a bottle of Prosecco and bubbles bath. Cold Seafood platter, Cold Cuts, Cheeses and dip basket with a bottle of Champagne and bubbles bath.